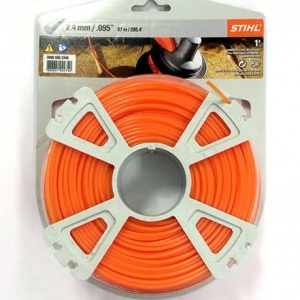 Genuine STIHL square mowing line. 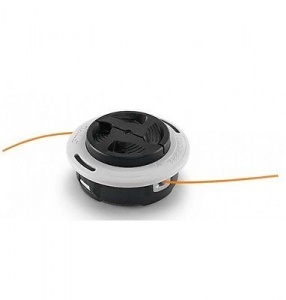 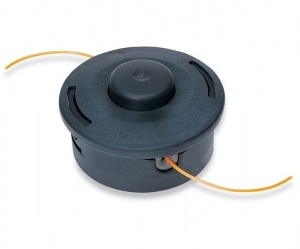 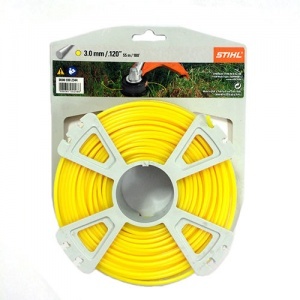 With its square profile providing a hard edge to cut through tough vegetation, this 2.4 mm thick, 434 metre long reel is ideal to replace worn mowing line. 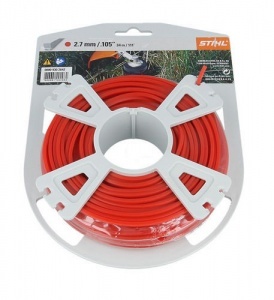 Made of flexible, hard-wearing and lightweight material, it is suitable for STIHL's AutoCut C 6-2, AutoCut 25-2 and AutoCut C 26-2 mowing heads (and more, contact us if in doubt). This is a 55 metre roll of genuine STIHL mowing line. 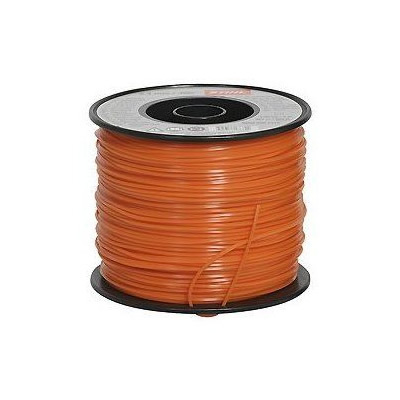 A square profile 3.0 mm diameter version, this line is made from a wear-resistant and flexible material, ideal for tough tasks.